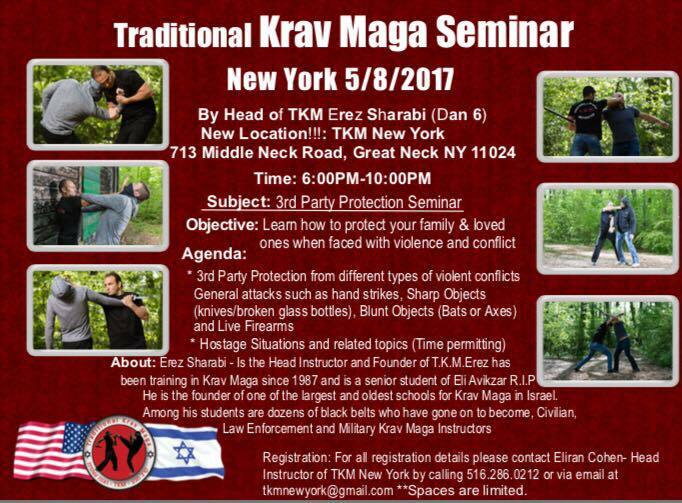 Traditional Krav Maga TKM conducts several seminars in Israel over the course of the year; some are open to the public. The seminars usually focus on specific situations, including defense against knives and sticks, weapons such as guns and rifles, defense against multiple attackers, improving personal security and more. In addition, the organization holds seminars in the U.S. and other countries. These sessions are based on requested training topics and include coverage for Krav Maga for civilians, police and military as well as other subjects. May 2017 (USA) - third party protection seminar. Conducted by head instructor of TKM, Mr. Erez Sharabi (Dan 6). 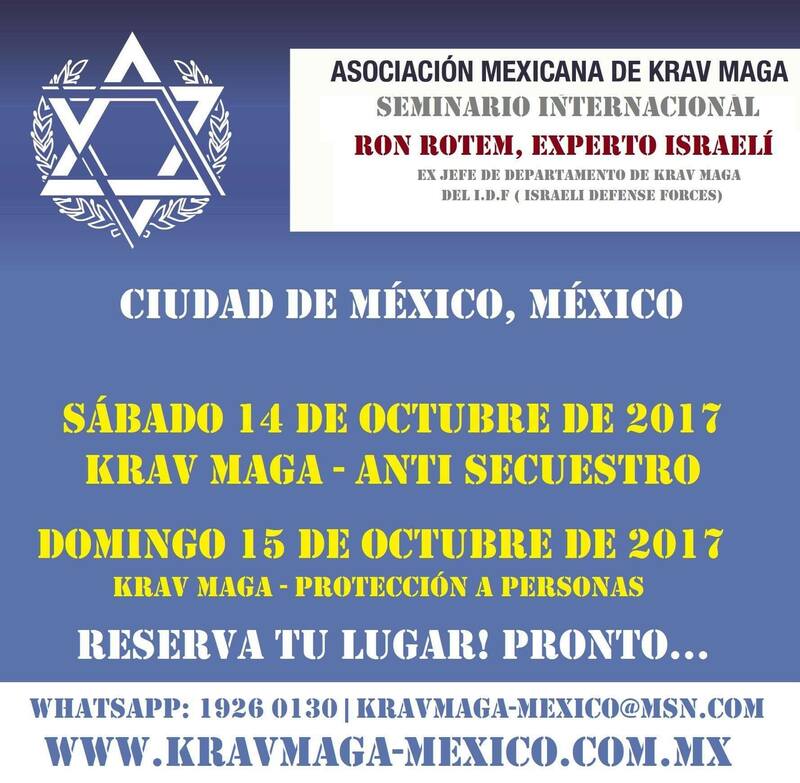 October 2017 (Mexico) - anti-kidnapping and V.I.P. protection seminar. Conducted by senior instructor Mr. Ron Rotem (Dan 5).